All the way from Reunion, an island of France, comes the Visual Kei artist Lightning. He started as part of a heavy metal band with the nickname Shadow, when he decided to leave Reunion for France, he chose Lightning as a new start for a new music project. Since then, Lightning got connected with the Japanese indie label Kirakira Record, released 2 albums and a couple of singles, and performed all over the world with his ESP guitar as his partner. During the European tour of Esprit D’Air, Lightning was the support act of the show in Paris. Enough reasons to ask Lightning a few questions about his music and ideas. AVO: The story of Lightning started in 2015, when you released your first EP, titled Break the cage. But when did it all start for you in music, can you share your background in music? Lightning: Everything started in 2004 when I found the legendary Japanese rock band X Japan. I was 14 years old at that time and I became completely insane. I said to myself: “I wanna help people by creating beautiful music, like X Japan helped me.” Since then I have been learning and playing the guitar every single day and performed with different amateur bands as a lead guitarist. From 2013 to 2015, I went over the world as a music composer for various artists. After that, it was time to launch my solo career. 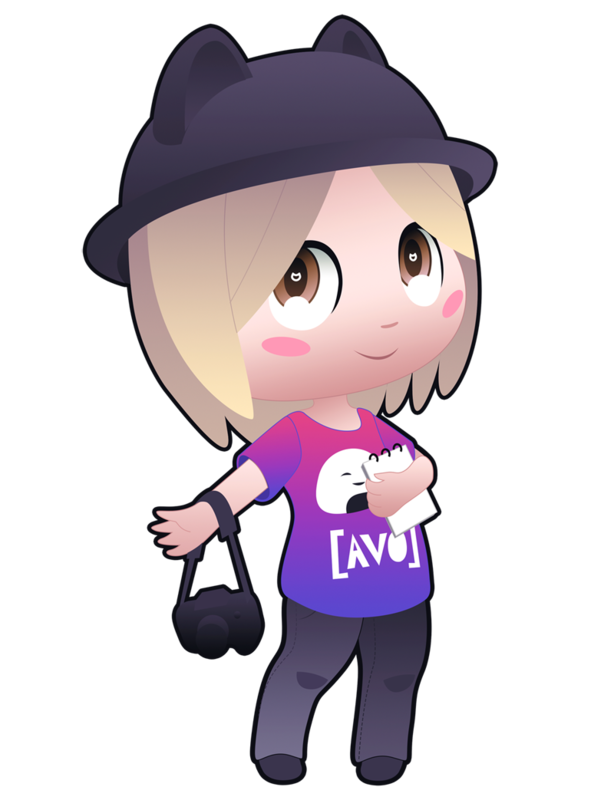 AVO: Next to the fact that you are a singer-songwriter, you are also the lead guitar player of the first French virtual singer, Alys, created by Voxwave Studio. Can you tell us more about Alys? Lightning: I heard about Alys when I was in a recording session for a French artist in Paris. A French producer came to the session and he told me about Alys. He said that my style and my way of playing could be great for this project. So, I got in touch with the CEO of Voxwave and I got the job. Since then, we have been performing around the world. AVO: You are a Visual Kei musician. What does Visual Kei mean for you and how do you corporate it into your life and music? Lightning: For me, Visual Kei is about freedom. It’s about expressing yourself honestly through the music without any rules. That was the spirit of Visual Kei in the 90’s and that’s what I got from it. My music is connected to my life and I experiment with it as a quest. Nowadays, Visual Kei has a lot of rules. Most of the bands looks similar and it’s more about makeup than music. I don’t understand why because they have a strong legacy with bands like X Japan, Luna Sea, Kuroyume and many others. It’s very important for me to keep the essence of the Visual Kei spirit and to take care of the legacy that the old generation gave us. AVO: The songs you produce consist of English lyrics, why did you chose to write and sing in English and not in Japanese? Have you ever considered to sing your songs in Japanese or would you rather do collaborations with Japanese singers, such as with Ne-chansan for the song Voice of Hope – 弱小宣言? Lightning: As a non-Japanese artist, I don’t want to imitate Japanese artists. I’m trying to be myself. I think every Visual Kei artist from overseas should do the same. Maybe in the future, I will sing a couple of songs in Japanese, but now I feel more comfortable with English lyrics. At the same time, I love to collaborate with Japanese artists like Ne-chansan because Japanese artists are amazing and very talented. I will collaborate with other Japanese artists very soon. AVO: You have been signed with a Japanese indie record label, called Kirakira Record. How did you end up with this label and do you think joining this label gave your project a boost? Lightning: Completely. I joined Kirakira Record in 2015. I sent some demo tape to different record labels. Kikira Record approved and I became the first French Visual Kei artist who has signed with the Japanese Record label. From this moment on, French journalists and people started to become interested in me as well. AVO: You had a tour in 2016 and 2017 and a couple of shows in 2018, where you performed in Europe, North Africa and Japan. What are the differences between the audiences in all of the countries you have performed? Lightning: They are all connected by music and they all love music. The only difference could be the energy. For example, in North Africa, they are not used to have this kind of music so they got crazy very fast, haha. I love the audience from every country I have been to. AVO: What was your most precious memory of your international performances? Lightning: I think the most powerful memory that I have was in France when I performed in a city called Bordeaux. After the performance, a blind woman came to the autograph session. She wanted to talk to me and she said: “I cannot see you, but your music it’s the most powerful thing that I felt in my all life.” Those words made me cry. I’ll never forget it. AVO: You have been performing with Esprit D’Air in France, during their European tour. How was this experience? Lightning: I was so happy to see my friends after two years. We invited them to be the opening act of Alys’ show in 2016 at Le Trianon. I was so grateful to be their opening act this year. I really love them. I love their spirit and their music. The audience was also amazing. People came from all over France and Belgium. I’m very grateful to have those kind of fans. I feel very connected to them. AVO: When you perform, you do that as a solo artist. Did you ever consider to create a whole band around you? Lightning: Sure. But for some reason, I feel more comfortable as a solo artist now. It’s easier to tour around the world and I don’t have to deal with the ego of other members lol. But yes, the band will come later. AVO: You have released a couple of albums and singles, the last one was the digital single Take Me Out, which was released in July of this year. It has been told many times that musicians are always working on new songs, even when they are on tour. Is this the same for you? Can you tell us what you are working on at the moment? Lightning: I’m always working on new songs in my head wherever I go. I compose everything in my head before taking any instruments. Then, when I have a clear picture of the final song, I start recording. I’m about to release a new single called Past and Future on September 26th. I’m also working on a big secret project, but at this time I cannot talk more about it. AVO: Who is your biggest source of inspiration? Is there anyone you look up to? Lightning: As a guitar player, hide and Sugizo are my biggest source of inspiration. But, the one who keeps me alive and pushes me every single day to reach my dreams since is Yoshiki. Everything has started for me because of him. Without Yoshiki, there is no Lightning. AVO: Do you have a message for the readers of AVO? Lightning: Thank you very much for your time and for reading this interview. I hope you will appreciate my music and my story. Also, many thanks to AVO Magazine for this interview! A big thank you to Lightning for taking the time to answer the questions. You can follow Lightning through his official website, but especially on his social media: Facebook, Twitter, Instagram and YouTube.